Being a big foodie, I really could not resist the opportunity, not least of all because I'm always looking for a new recipe idea to try out! This is the perfect diary for any foodie fan! 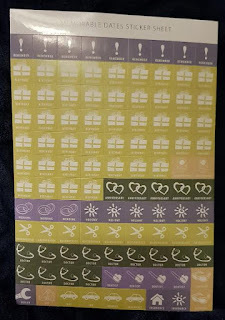 There's a pocket at the front for notes which includes some stickers for important dates to add to your diary such as dentist appointments, insurance due dates, birthdays, doctors appointments, holidays and more. 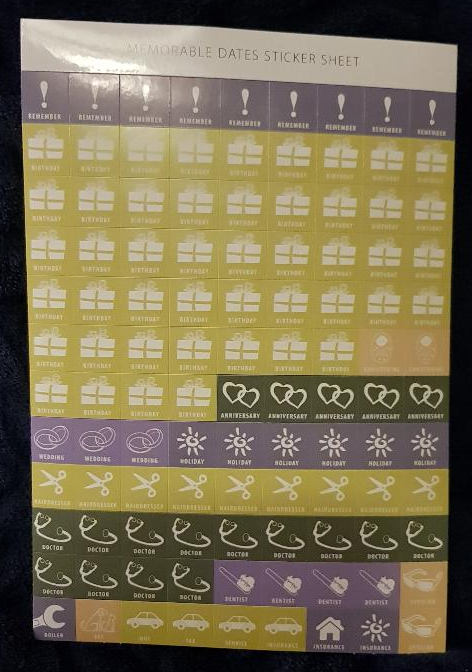 Very handy and they stand out more than a little handwritten scribble. There's the obvious owners details page in case you lose it or in case of an emergency, a year planner, spaces for important phone numbers and personal details, space to put family & friends contact details, even space for home budgeting planning! There are a list of calendar dates that you will find useful such as UK holidays, religious dates and even phases of the moon and British Summer Time start and end dates. There's a place to record birthday and anniversary gifts. Do people actually keep track of this stuff?! I never knew that, but I guess they must! 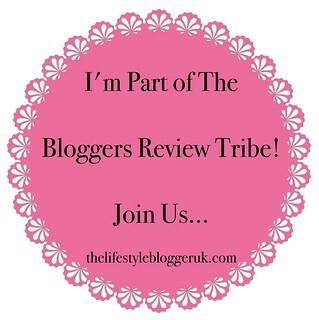 There are various tips and tricks - exercise, decluttering, gardening and of course the best feature (in my opinion at least) - lots of lovely recipes! There is a new recipe on every set of weekly pages. At the back, there are free pages for notes and a 2020 Planner too. Overall, I really like this diary - it's very well thought out and covers everything you would expect from a diary and then some! 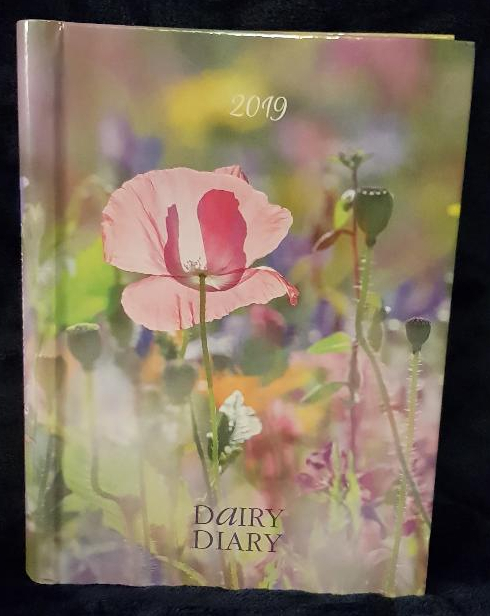 I think this A5 diary provides excellent value for money at £8.50 - you can purchase one at the Dairy Diary website. There are loads of recipes in it! There's something for you regardless of whether, like myself, you're a meat eater, or if you are pescatarian/vegetarian/vegan, not to mention lots of lovely puddings, bakes & cakes recipes too! 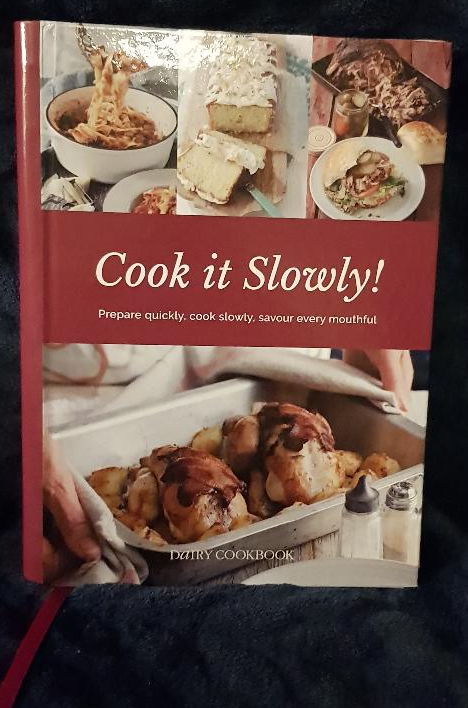 At the start you will find some great slow cooker hints & tips. I use the slow cooker quite frequently and even I discovered some helpful tips! The recipe was easy to follow. We couldn't find any Toulose-style sausages though, so we had to settle for good old plain pork sausages. Paul got meat-free hotdog sausages which I used for his. I cooked it on the stove, rather than slow cook it as I didn't have the time, it took longer than the recipe stated however, so I think I'd cook this in the slow cooker in the future. 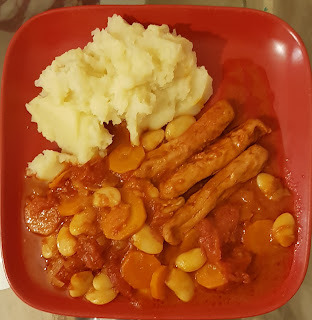 The recipe is very flavoursome, it is not the usual sort of thing I would opt to cook, but I liked the look of it and I was not disappointed - it was really, really nice and we will definitely be having it again soon. 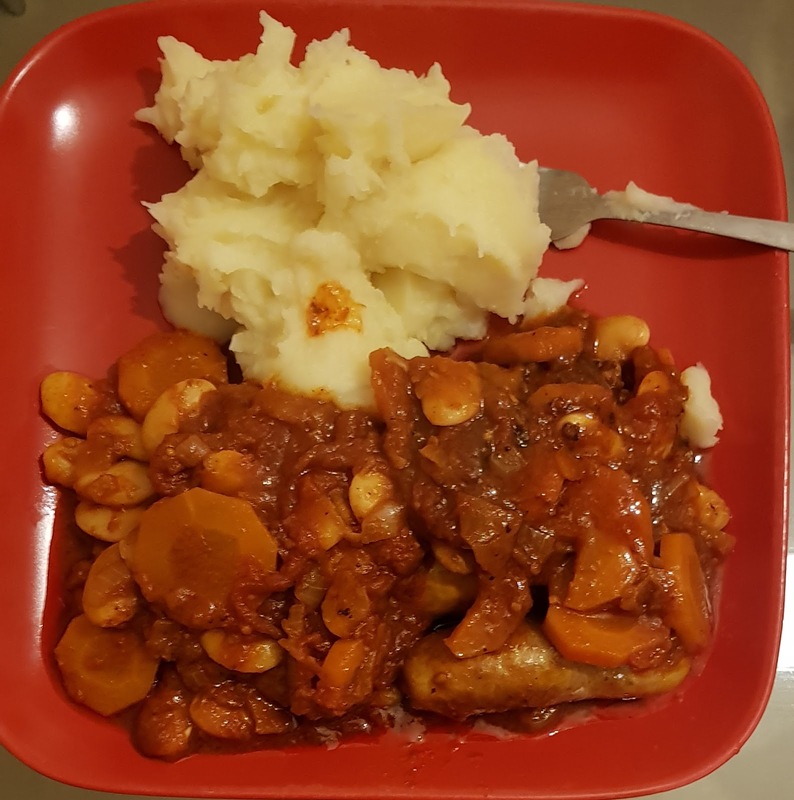 It was quite a cheap meal to make and it's something you can throw in the slow cooker in the morning and have ready for tea. Not to mention you could freeze your leftovers for another day. I'm looking forward to having a go at some of the other recipes sometime soon (be on the look out for future posts!). Overall, the recipe book has a great range of recipes, and best of all, they are quick and easy and can go in the slow cooker so you can basically forget about them until meal time! Quite a lot of them are freezable so you can save on food waste too. The Cook It Slow! recipe book is just £8.75 and you can find out more about this and the other cookbooks in the range at the Recipe Diary website. You can also order the Dairy Diary from your local milkman too! My Wife loves cooking and is always looking for new Recipes!